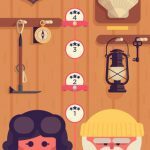 We’ve got more TwoDots tips and tricks for you as we usher in the new year and move on to levels 41 to 45. Once again, ice blocks will play a prominent role in here, though ice will be the only thing you’ll need to worry about in all but one of these levels. 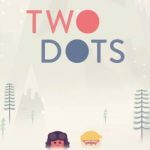 So without further ado, let’s move on to those TwoDots tips. 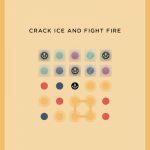 While 28 blocks of ice in 35 moves may seem overwhelming, it’s actually not that difficult as what you may think – all you have to do is create squares and bombs as much as you could. Bombs would be very useful, as it normally takes three hits for an ice block to be broken; bombs, on the other hand, crush a block of ice in just one hit. That means it’s important never to pass up the chance to create a bomb. But you can also go for a normal move if there isn’t an opportunity to make a box or bomb. While Level 41 had a lot of ice blocks and a straightforward board, Level 42 will require you to break “only” 12 blocks, but in an oddly-shaped board with two blockers. You can either go through this level by creating as many squares as possible, or by creating bombs, which would be harder, but more effective if you have the chance to create one, which would be done by making a square around one single dot. This is essentially the same number of moves, but with twice the number of ice blocks in Level 42. The good thing is that you’ll be dealing with a “conventional” board without any blockers or cutouts in the way. But the bad thing is that things can get really tricky in this level. You can start by working on the four red dots in the middle, and after that it would be important to pay attention to how the dots fall after each moves. Once again, boxes and bombs should be very effective if you can create them in this level. Nine ice blocks broken in 40 moves? It sounds easy, till you take a look at the board. It’s a small, but very oddly-configured board that won’t give you much room to create the old trustworthy squares, but you can easily make bombs here, and get rid of those ice blocks much easier. This would be great if you can create a bomb around a dot that’s encased in an ice block. Here you’ll want to create your boxes in the middle of the board or look for squares on the left and right sides, as the ice blocks are all located in the left and right corners. With all those dots and ice blocks and so few moves, this would be one of your best bets, though bombs could also work here, especially if formed in the middle.